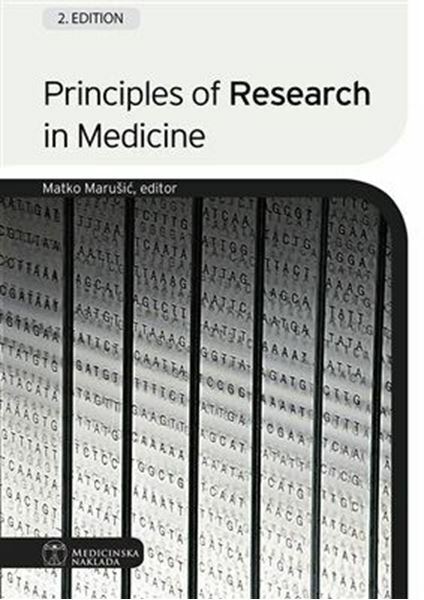 This is the second edition of the textbook „Principles of Research in Medicine“ for students of medicine and other health professions. The book is also the official literature for the course Introduction to Research in Medicine, which was initially introduced into the curriculum of the University of Zagreb School of Medicine. In accord with the Directive and recommendations of WFME, at School of Medicine in Split the course was vertically integrated into all six study years, with the emphasis on the practice of evidence-based medicine and a writing a good graduation thesis – the „crown“ of science education and the symbol of the scientific maturation of medical graduates. The textbook describes scientific fundamentals and evidence-based practice of medicine and health care. Its goal is to enable the students to formulate specific research and clinical questions, find relevant literature information and critically appraise the evidence; it should provide them with the skills to apply all that in patient care and communication with their colleagues and the public. Current medical practice requires the knowledge and use of the concept and techniques of evidence-based medicine (EBM) to obtain the best information and achieve the most efficient treatment of patients; EBM has become fundamental system of clinical practice and quality assurance of medical work. Modern medicine is unconceivable without EBM, and neglecting it in every day work is a kind of – vitium artis.